Getting Started with Slider by Supsystic is not so complicated as you can think. Here we have a very simple instruction which will help you to install our plugin and get the first slideshow to your page. Getting started with Slider by Supsystic it’s a great solution for the visual part of your business. Let’s make your site more alluring. In WordPress, navigate to Plugins > Add New. Search for “Slider by Supsystic” and click Install. When the installation has completed click “Activate Plugin“. You will have a new admin menu item titled “Slider by Supsystic”. Getting started with Slider by Supsystic also provides Pro version. In your personal account on the staging-supsystic.kinsta.cloud, you will find a unique download link after purchase. After downloading the file (supsystic_slider_pro.zip), navigate to Plugins > Add New > Upload and upload the file. When the installation has completed, click “Activate Plugin“. Go to the Slider by Supsystic in WordPress navigation menu. 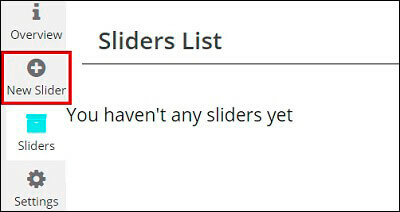 Enter the name of slider. On the next steps you can change the slider template. Choose images from WordPress Media Library – mark those images that you like or need. If there are no images that you need, click the Upload Files tab – here you can drop files anywhere to upload or select files from your computer. Click on “Choose Image” button. Images will appear in the Media block at the left side. Check these articles to view more information about Import Images in different cases. 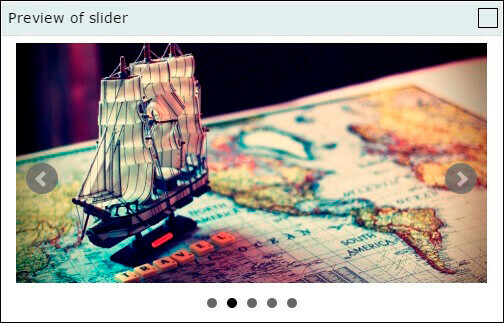 BxSlider – easy to use image slider plugin with built-in touch support. Coin Slider – slideshow plugin for creating slideshows with amazing transition effects. 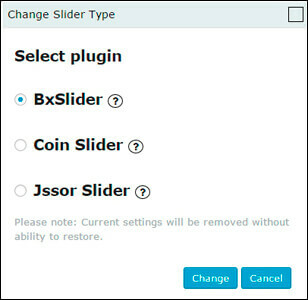 To change the slider – simply click “Change slider” button, choose the another module and click “Change” button. Note that current settings will be removed without ability to restore. You will see different settings and effects become available depending on every slider you’ve selected. You can also read about three Slider Types: Image Slides, Post Feed Slides and Video Slides. After you change some settings – with responsive slider by Supsystic, you can immediately see the result in a live preview. Simply click on “Preview” button and you will see your slider in a popup window. This is the last step before really getting started with Slider by Supsystic. Pastintg your slider on your page. Over the settings of slider you can see the shortcode. Copy and paste the shortcode into your post or page and Slider by Supsystic plugin will automatically create the slider on your page using the settings you choose above. To add slider on the page with PHP code, move to the left navigation menu and click “Sliders”. Here, for each slider written its own php code. If you forget something about the plugin, want to reread some additional information – go to the main page of our product Slider Plugin!